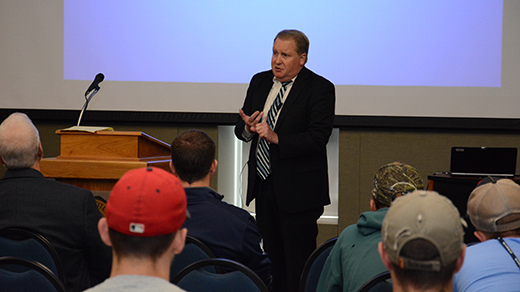 As part of Constitution Day and Citizenship Day, Upper Iowa University today (Monday, September 18) hosted Iowa Court of Appeals Justice Thomas Bower. Bower discussed not only the United States Constitution, but also the Iowa Constitution, and how the two constitutions intertwine and make each other better. Justice Bower is from Cedar Falls and was appointed to the Iowa Court of Appeals in January 2012.